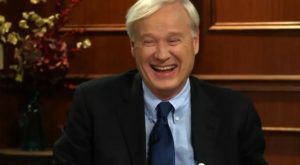 MSNBC, the liberal cable news network that only a few years ago was cocky enough to predict it would overtake Fox News by 2014, lost more ground in April as its monthly ratings hit a low not seen since May 2005. The network did manage to claim the No. 2 spot in total primetime viewers for the month, but lost the demo and total day viewing to CNN. The network was down 12 percent in total day and 16 percent in primetime. MSNBC fared far worse in the 25—54 demo that advertisers watch closely, with a drop of 27 percent in total day and 29 percent in primetime year over year. Morning Joe, which has been in a very public battle with CNN’s New Day, did win the total viewer battle 354,000 to 317,000, but lost the demo 107,000 to 78,000 for the 10th straight month. The blame for the poor ratings performance rests squarely on MSNBC president Phil Griffin’s shoulders, but instead of making the big changes necessary to revive the network, he has danced around the edges with minor tweaks that have only worsened the situation. If MSNBC wants to become relevant again they need to start by replacing Griffin. But based on the fact that they’ve stuck with him as he drove the network into the ground, that appears unlikely to happen anytime soon.